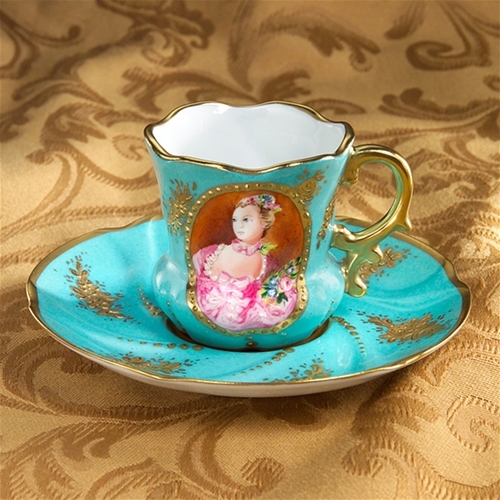 Travel back in time with our Limoges Marquise de PompadourR coffee cup and saucer with a handpainted portrait decorated with 22 carat gold accents encrustations. 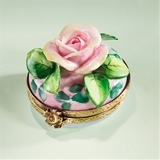 This artistic Limoges French handpainted porcelain object is an excellent accent for your antique porcelain collection. 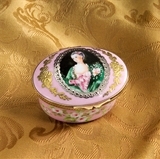 It can be used for your special occasion as well. The cup measures 2" High. and the saucer is 4 1/4" Diameter. 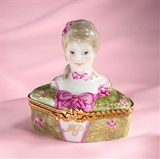 We would like to suggest a set of two to make a tete- a tete on your decorative display.